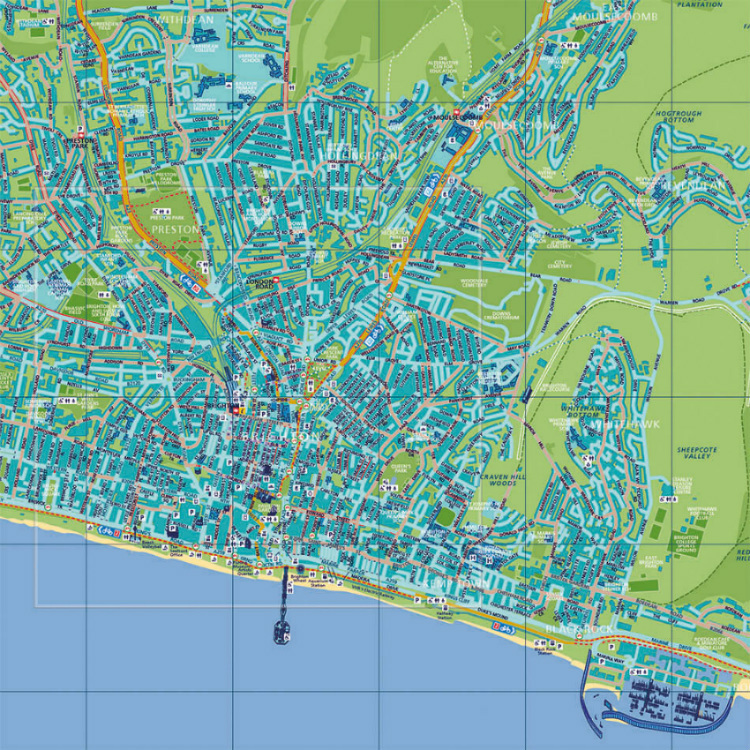 Following the successful delivery of a new printed Cycle Map for Brighton and Hove City Council in 2016, Lovell Johns were contracted to develop an interactive online version with responsive design for mobile and tablet use. 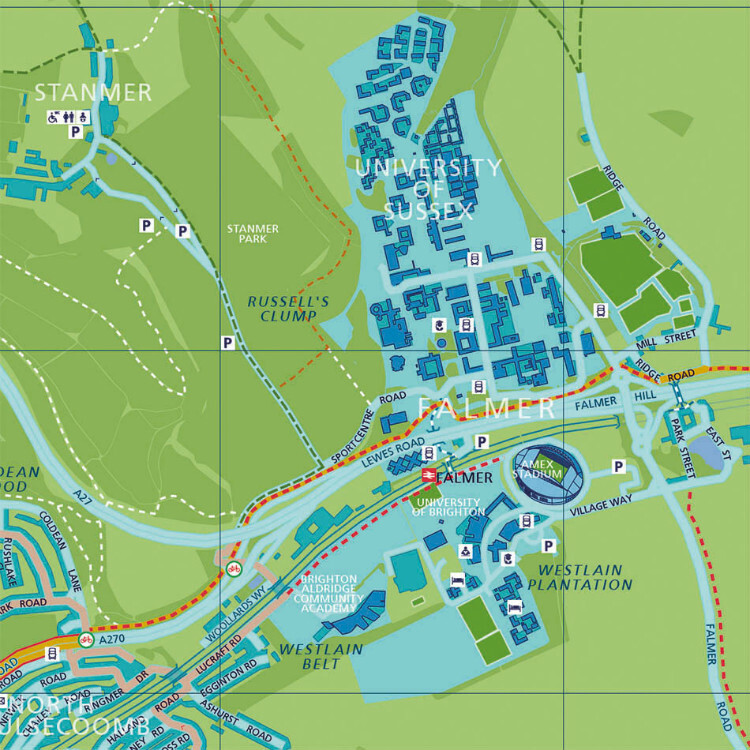 The online Cycle Map was to match the visual identity of the printed map but allow users to filter map layers for a customised view of the available cycling information. 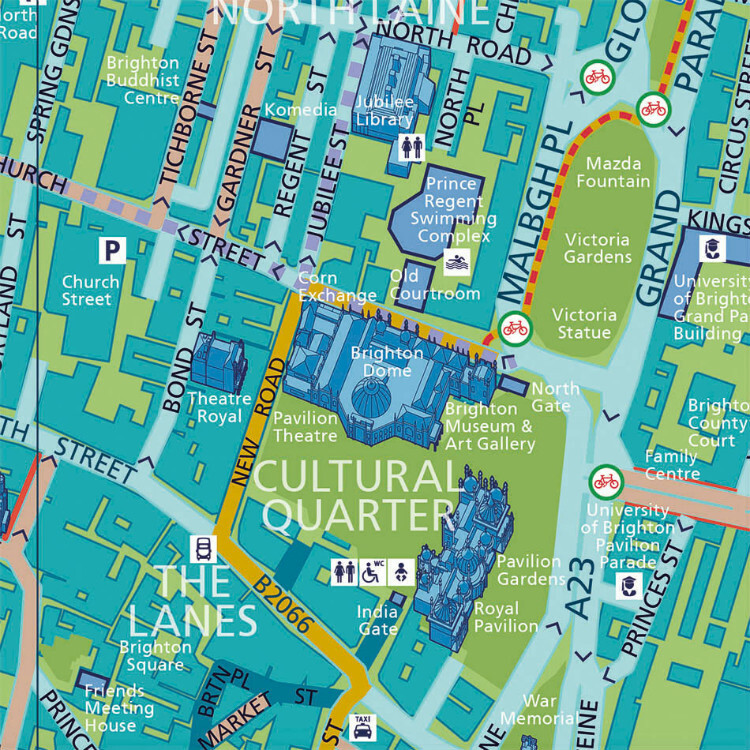 The two separate maps created for the print version – a city wide map and an enlarged city centre map – were combined into a single seamless map for online display. The map allows you to find all the cycle facilities available on any chosen route and is designed as single information points for commuters, leisure cyclists, off road cyclists and visitors to the city. The Pan and Zoom map allows the user to filter individual map layers such as Cycle Routes, Highway Features, Landmarks and Amenities then click on features for further information. Open Source software was used, a combination of MapServer and OpenLayers technologies. Lovell Johns continue to support the project for updates and maintenance through an annual Support Agreement.